Faith development is central to the life of our school community. 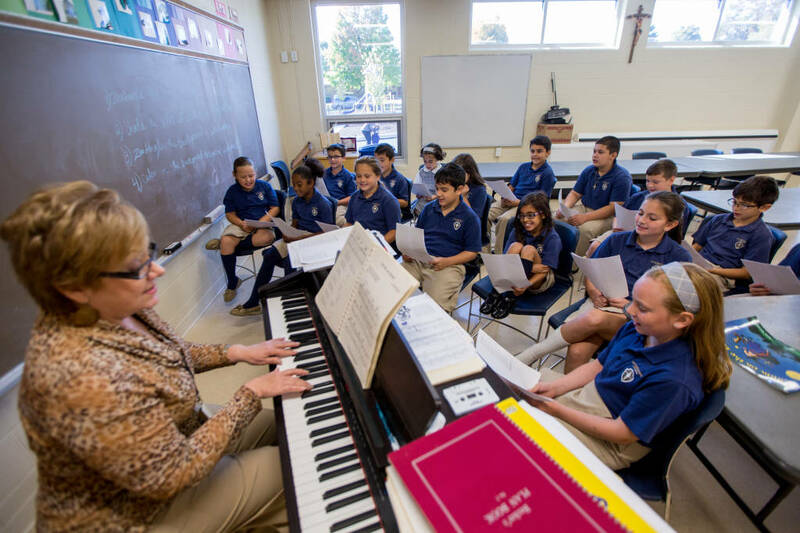 Students learn the teachings and traditions of the Catholic Church in their daily Religion classes, as well as in the faith community that surrounds them. Our students are formally prepared to receive the Sacraments of Reconciliation, Holy Eucharist and Confirmation. Students gather in church for Mass each Friday to meet Jesus and to nourish their souls in Christian Catholic growth. An annual class retreat is held for students in grades 2-8. Mathematics includes a strong foundation in computation followed by application. Problem solving and articulation are included on a regular basis. 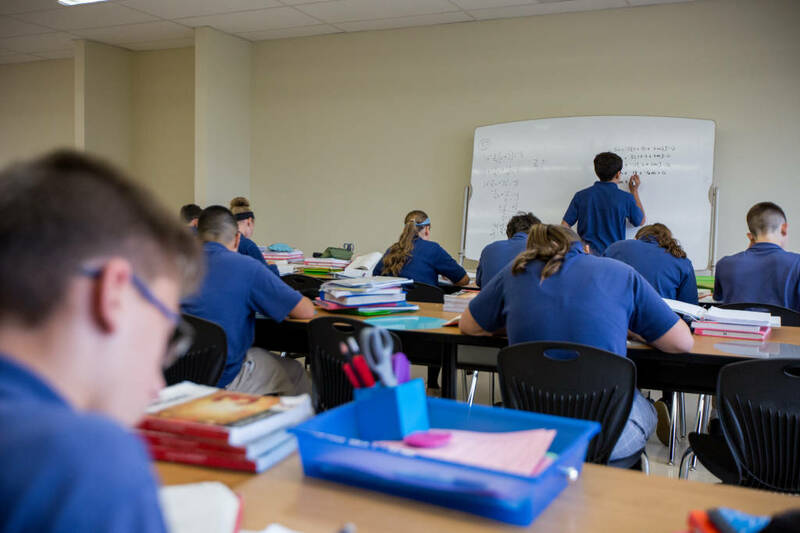 Students in grades 5-8 may be placed in accelerated math classes based on their performance in previous years. All 7th graders are evaluated for placement in Algebra in 8th grade. The Algebra Program allows students to be tested for advanced placement in high school. The Language Arts Program integrates phonics, spelling, and grammar with written and oral communication skills. Our writing curriculum focuses on the teaching and practice of various writing domains as well as tools necessary to complete a well-written document. Individualized student portfolios are kept from year to year that contain writing samples. 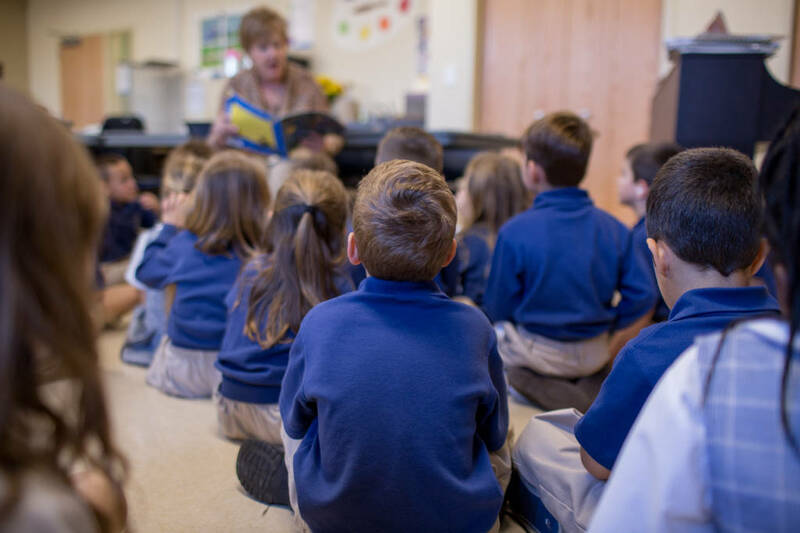 For students in kindergarten through 6th grade, Reading is taught through whole group instruction, with flexible grouping to accommodate individual needs. Students in grades 6, 7, and 8 use a supplemental vocabulary workshop book. 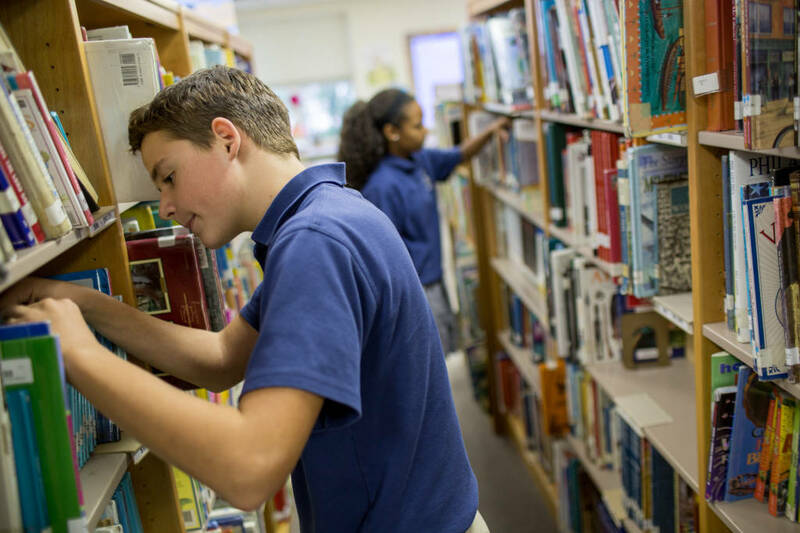 Students in grades 7 and 8 work within a literature series, which helps to reinforce skills as well as offer opportunities to apply these skills to the material they study. 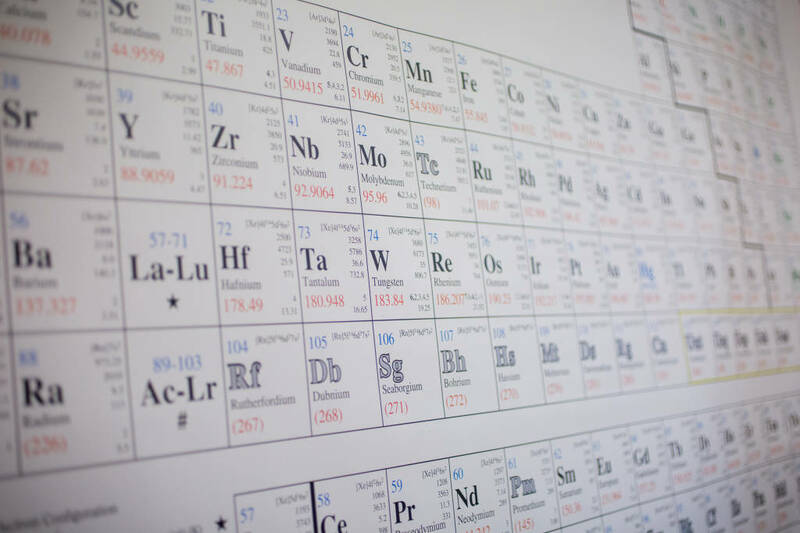 The Science curriculum challenges students' natural curiosity through hands-on experimentation. The curriculum includes life, earth, physical and health sciences. 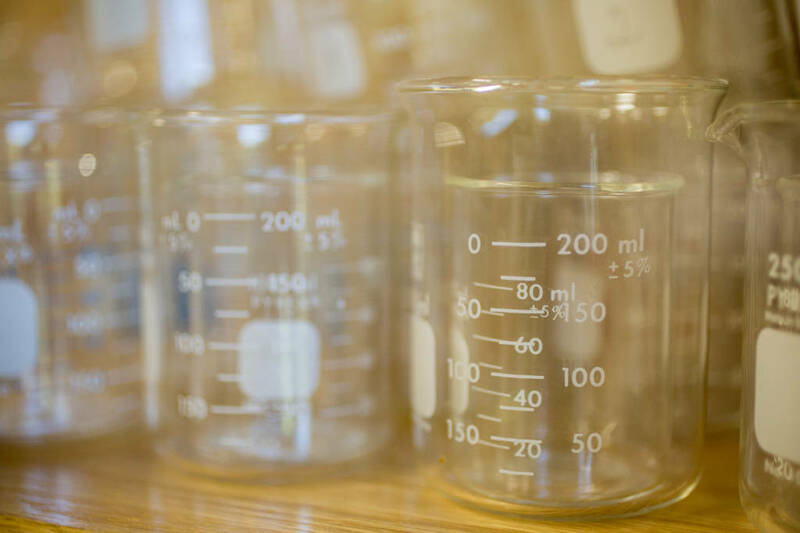 All students have the opportunity to explore the scientific method in our state-of-the-art Science Lab. Fifth and sixth grade students participate in the annual Science Fair and seventh and eighth grade students have the opportunity to compete in the annual, state-wide Pennsylvania Junior Academy of Science (PJAS) competition. Participation in PJAS allows students to present science experiments on a regional level and than at the state level during a 3-day meeting at Penn State University. 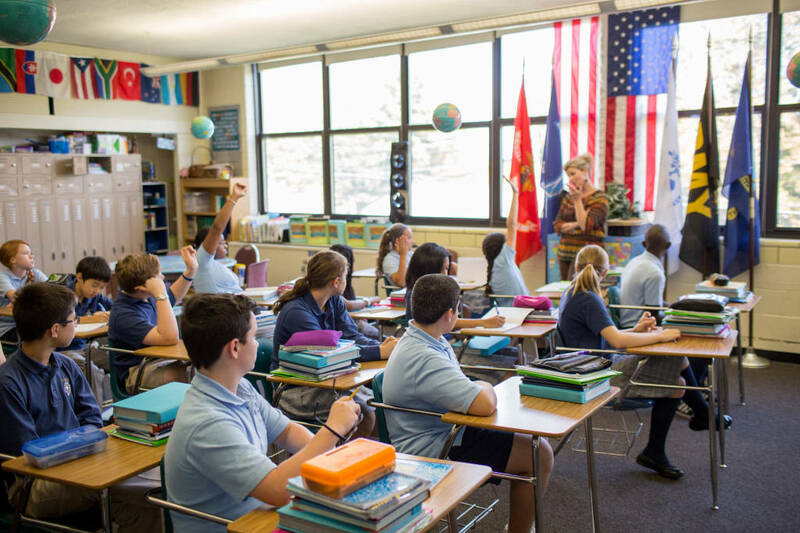 The Social Studies Program focuses on the development of critical thinking skills, as well as the acquisition of content material and geography skills. Current events study is an integral component of the program. 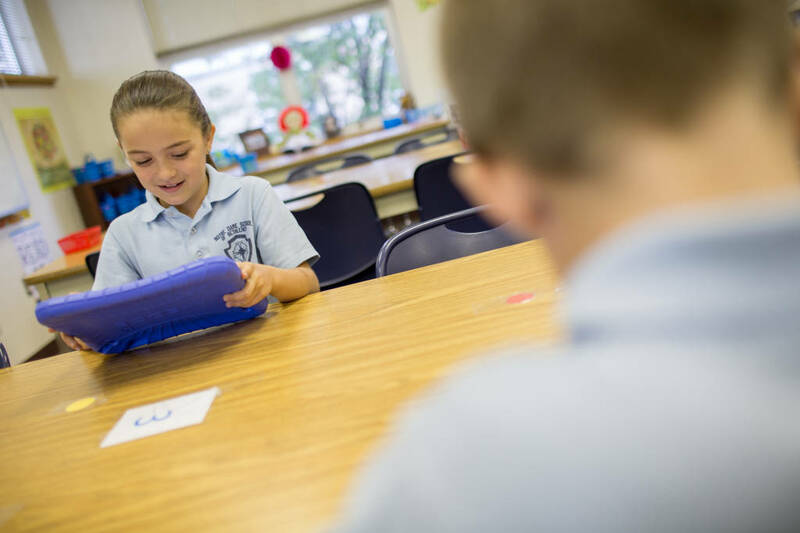 Each classroom is equipped with two internet accessible computers and an iPad. Our computer lab houses thirty computers and over sixty iPads and a 3D Printer. 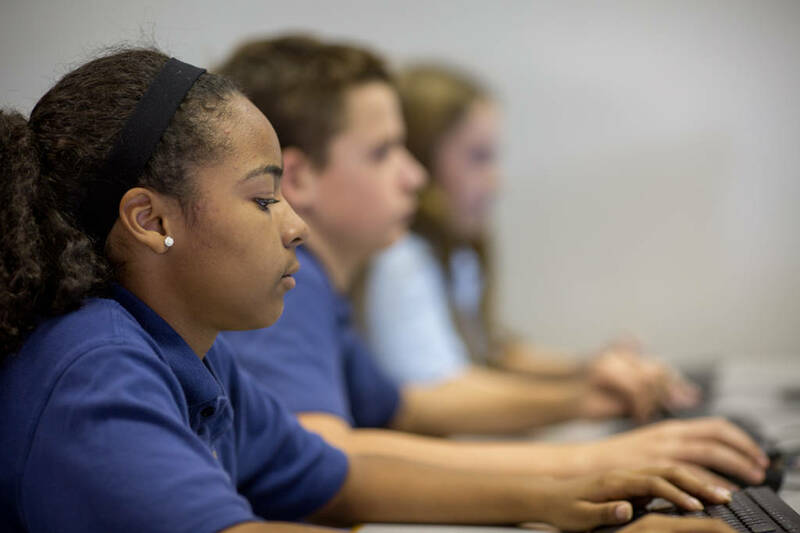 All students in kindergarten through 8th grade receive formal computer instruction that integrates computer lessons with their core subjects. 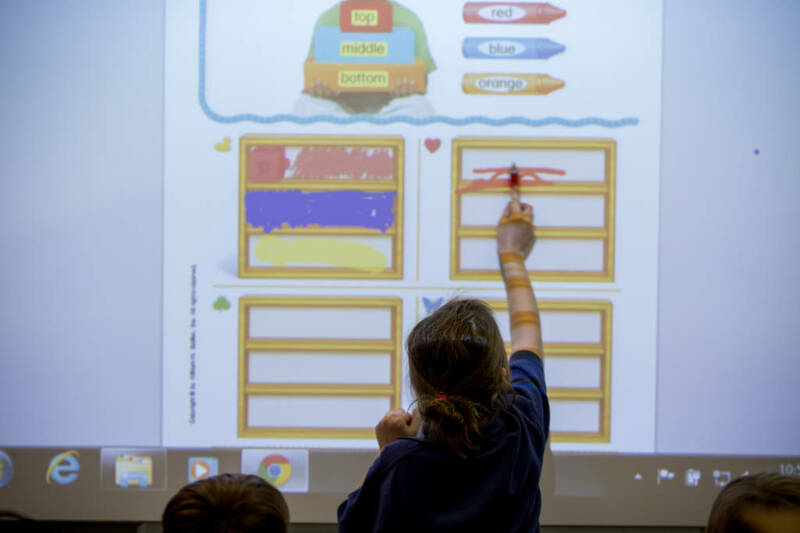 The students learn computer programs like Microsoft Word, Excel, Power Point and Paint as well as Hour of Code, First in Math, Scratch and how to use our interactive white boards. Spanish is an introductory program that encourages language acquisition in a natural, rewarding and engaging environment. The material develops the students' listening, speaking, reading and writing skills. Children are given the opportunity to discover and develop their God-given musical skills and talents. The lessons and experiences include singing, playing instruments, performance, movement, improvisation, listening and reading. Our library strives to enhance the curriculum by providing access to print electronic media and our extensive catalog of books for all age groups. The Notre Dame library is modern and automated; students can find books and research information with Power Library. The primary grades learn basic skills of movement, ball play and interaction in a team atmosphere with teamwork and lifetime fitness as their goals. Middle school students play various sports and games with focus on prior learned skills and emphasis on fair play and good sportsmanship.